The incident reportedly occurred shortly after 7PM on May 19th, when Perez, Brown, and Gentle allegedly attacked one of the pump attendants with knives at the gas station. The assailants took the pump attendants’ waist bags containing money from the day of sales. One of the culprits, believed to be Perez, inflicted a cut wound to one of the employees in an apparent struggle. Police were alerted and soon arrested two of the thieves while they were trying to escape. The third person was apprehended hours after. Witnesses reported that the injured pump attendant was rushed to the Dr. Otto Rodriguez San Pedro Polyclinic II, where he was treated. The official police report states while 33-year-old Adolfo Gongora, pump attendant, and his co-worker Jonathan Reyes were suddenly approached by a male person holding a knife to Gongora’s throat and stole a black waist bag containing $1,000 from the day’s sales. The assailants also took Reyes’ waist bag containing $900. It is alleged that it was during this time that police were alerted and were able to quickly respond to the area. Upon arrival, police set to chase after the thieves and detained two of them in nearby bushes, while the third person managed to get away. However, it did not take police long to catch the third mugger. But after appearing at the San Pedro Magistrate Court on May 22nd, they were granted bail, which they met, and were released. Residents acknowledged the law enforcers for their quick response, but according to them this spike in crime is worrisome and they hope it does not escalate. They also recommend business owners to have better security measures at their establishments for the safety of their patrons and employees. These recommendations and prompt response were not enough to deter the spree of crime affecting the island. A few days later on May 25th, a duo surprised patrons and staff at Wayo’s Beach Bar and Grill at Boca Del Rio and demanded money. During the assault, 26-year-old bartender Osner Campos was injured from a gunshot ricochet to the back of his head. The thieves then left with an undisclosed amount of cash. Campos was taken to the Dr. Otto Rodriguez San Pedro Polyclinic II. He was later airlifted to the Karl Heusner Memorial Hospital in Belize City where he was listed in a stable condition. Campos recovered quickly, and by Monday, May 28th, he was released from the hospital. Police later reported that two persons had been detained but no charges were ever laid on them. 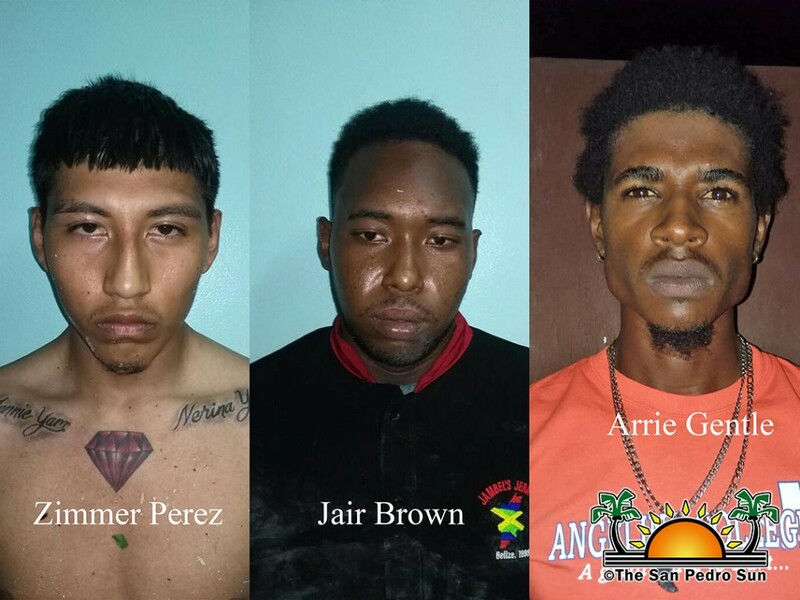 Almost a month later on June 20th, early in the morning, a lone gunman walked into the offices of the Insurance Corporation of Belize (ICB) San Pedro Branch and Nation Wide Cash Express and robbed them out of approximately $8,000. The management at the ICB branch, located at the corner of Tarpon Street and Pescador Drive stated that the assailant was of mixed ethnicity and had his face covered. Police immediately launched an investigation that led to the detention of two persons, however, no charges have been issued.